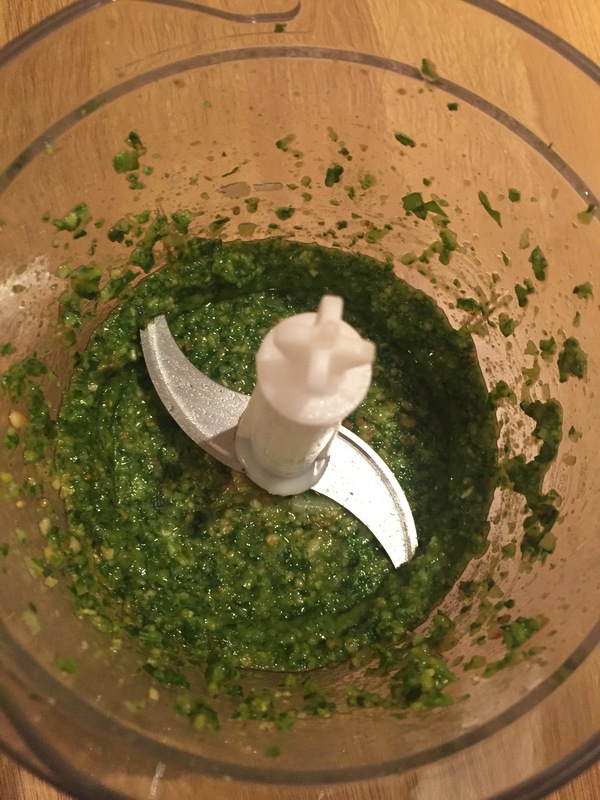 I’ve been a pesto sceptic for longer than I’d care to recall, finally settling on accepting that I was only ever going to enjoy red pesto, and even then how often do you get the opportunity to use red pesto? 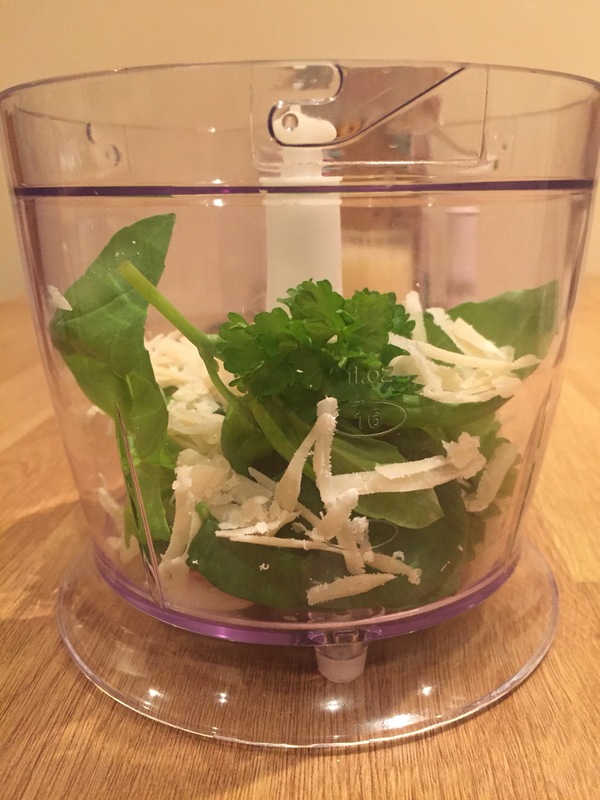 Oddly, though, I encountered a jolly good hankering for some fresh pesto last week, knowing I had a basil plant on my windowsill and a block of Parmesan in the fridge. 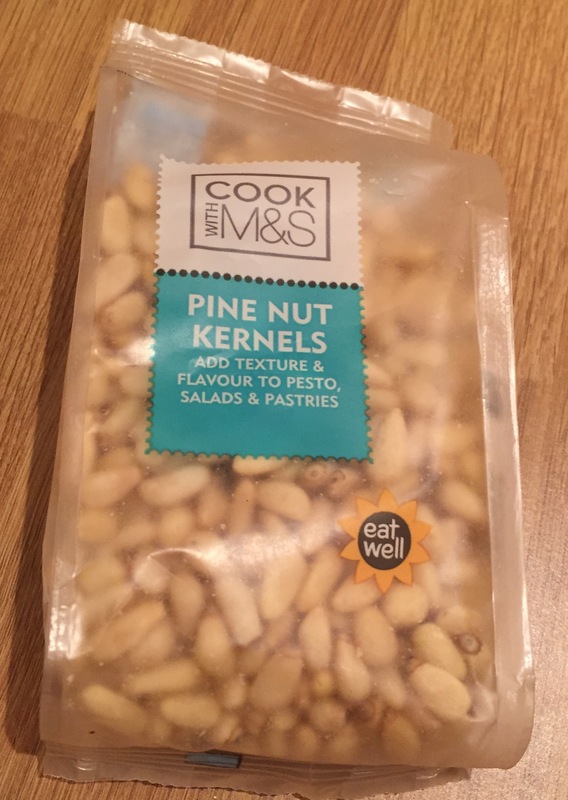 So off I popped to M&S to pick up some (ridiculously overpriced, but delicious) pine nuts and I was good to go. Sorry for the approximations! 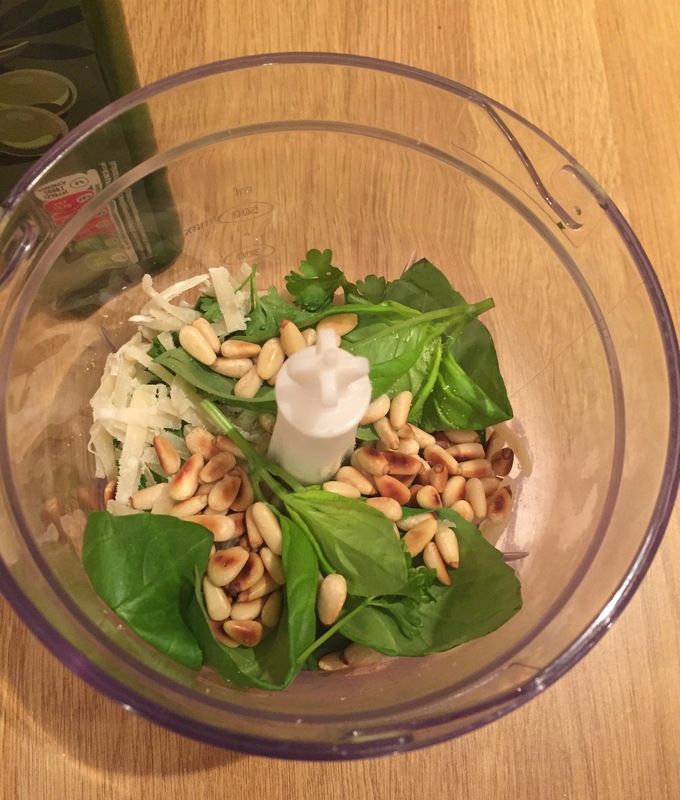 Like a salad dressing recipe, the balance of a pesto is as much in touch, sight and taste, so you may need to alter some of the quantities to taste. 1. What made the difference for me here was roasting the garlic first at 180c wrapped in foil for around 20 minutes. 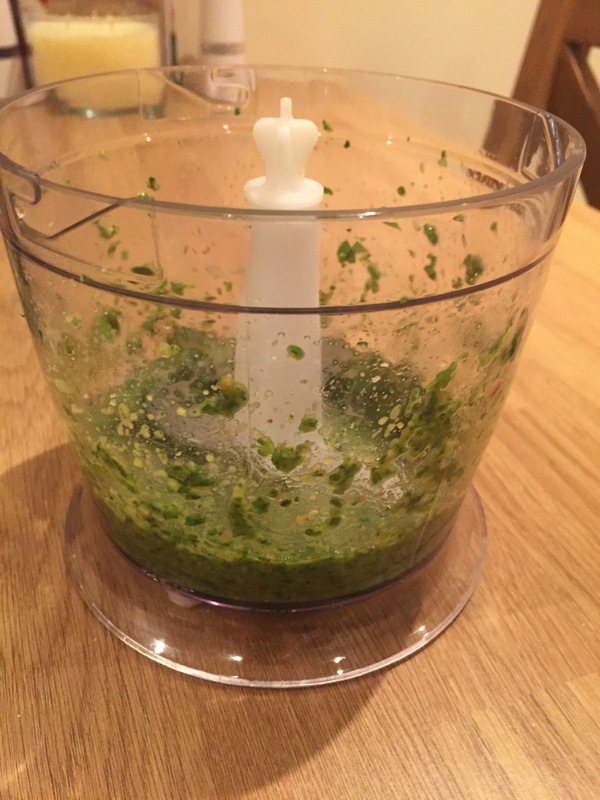 Squeeze the garlic out of its skin into a mini chopper, blender or pestle and mortar. Roasting garlic gets the best out of it whilst also eliminating any harsh raw flavour. 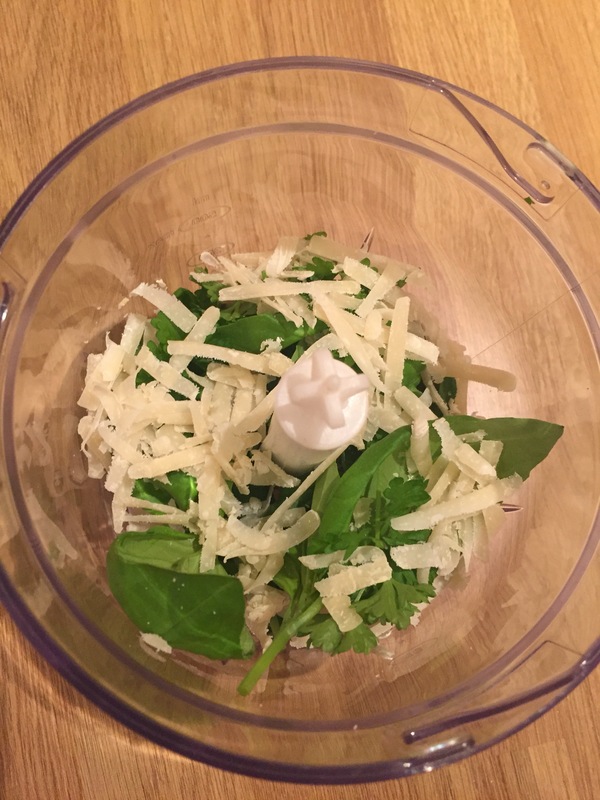 Add the basil leaves and Parmesan. 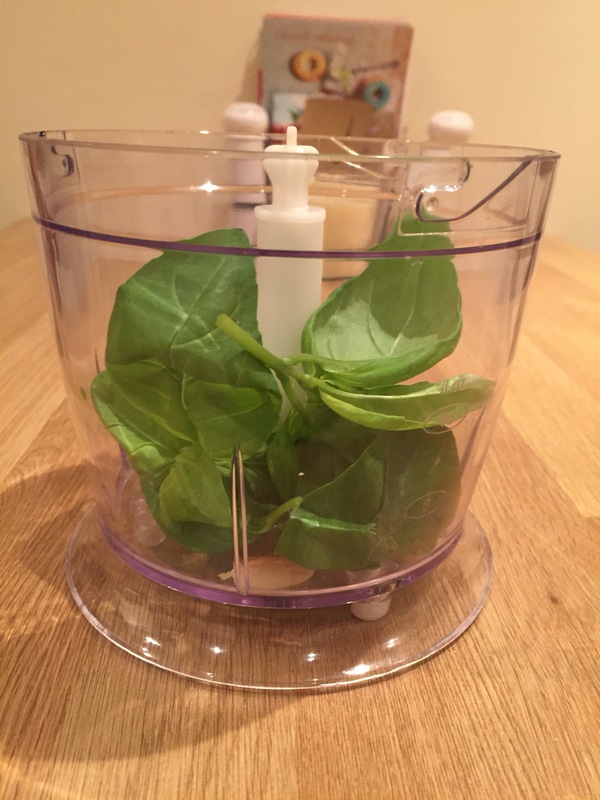 I bulked mine out with a couple of parsley leaves because I’d already used up a bit of my basil plant. 2. 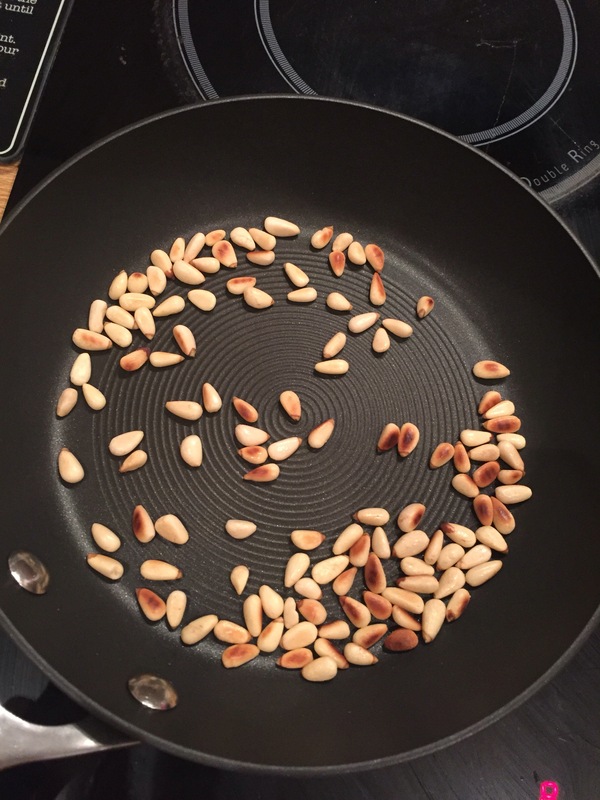 Meanwhile, toast your handful of pine nuts in a medium heat pan – be careful not to burn them as they turn in the blink of an eye. 3. Add to the chopper, then add salt, lemon and both oils (if you don’t have one or the other, 100% of one oil will be fine). 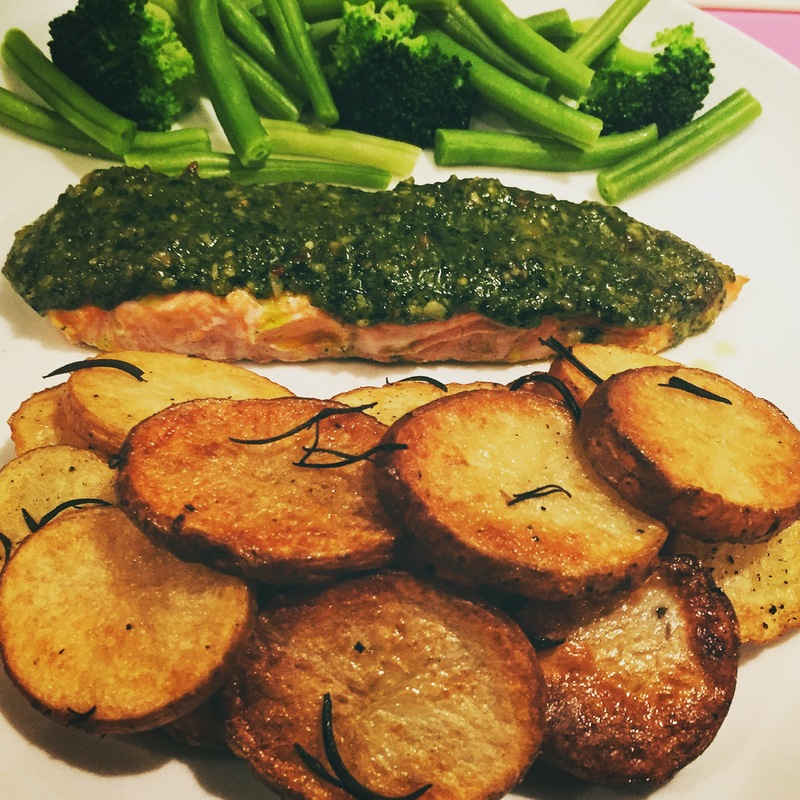 Don’t go overboard with the oil – you can add but you can’t take away! 4. Put the lid on and blitz. Stop, remove lid, stir and blitz again. If it’s too dry, add a little more oil at this stage. I didn’t want mine to be too smooth but do whatever you like with yours! 5. Taste, then add more cheese, salt, lemon or oil if necessary. 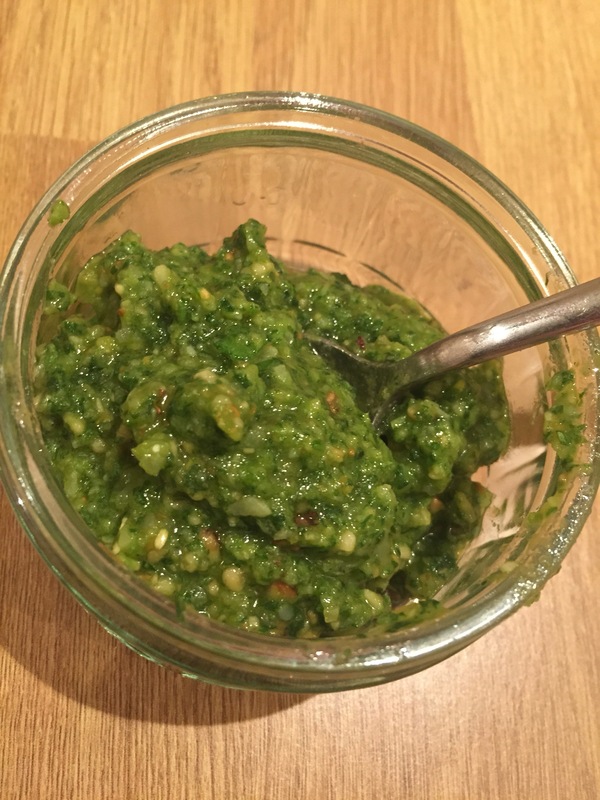 I scooped my pesto out into a little ramekin and added a touch more oil, then it was good to go! Delicious spooned over salmon or chicken before baking, a great fresh tasting pasta sauce in minutes, and divine with some cooked vegetables tossed in it.